My husband is constantly dropping food on his shirt front. This bib should help keep his shirt clean. Because I was tired of having stains on my tops of any kind, it seem that I was either to close or not to close to the table. This helps me not ruining my clothes. Regular cobbler aprons too expensive so thought I'd check this out as a sub. This item seems a very nice size that will fit my husband. I have an adult brother that is dropping food on his cloths, so hoping this will help him & me!! I have an elderly parent who has become a messy eater. This will keep me from having to wash her T-shirts as often. 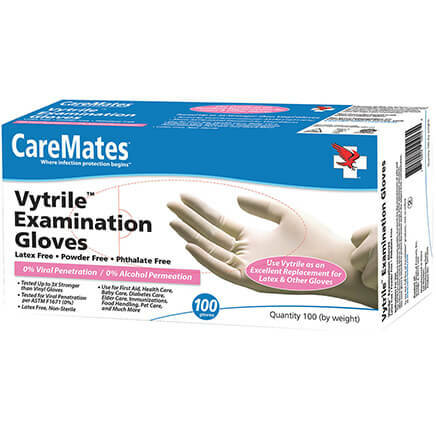 My Mom uses these and she needs some new ones. 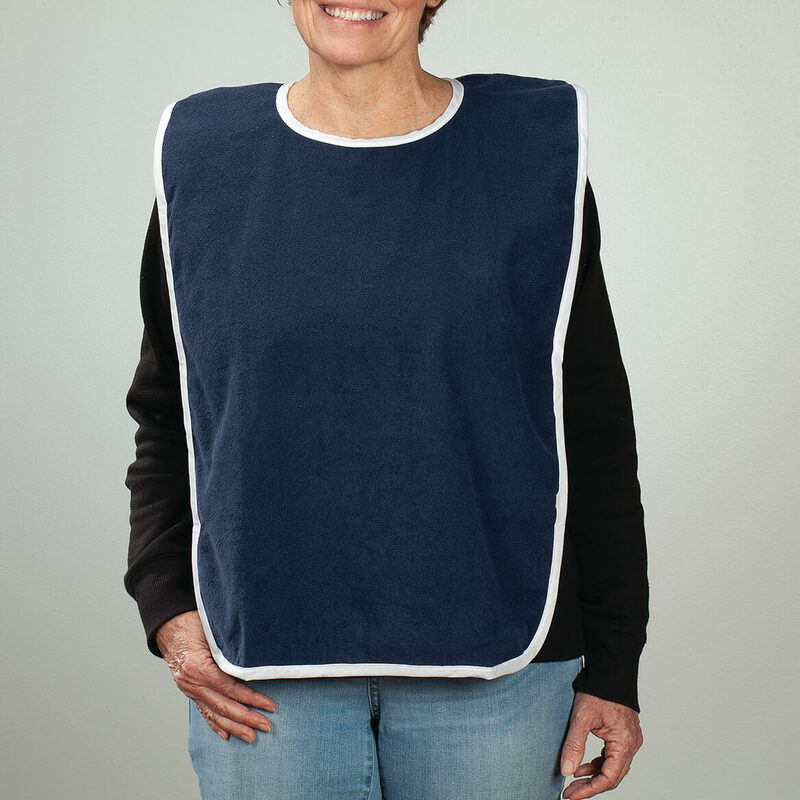 Right size for adult, good color choices, and covers chest from spills and Good droppings. Because they had plastic lining and they are over sized!!! My husband uses an apron when he eats but these look like they will protect his clothing better. when we travel and stop at a drive in we keep this in the car to go over our good clothes. MY SON AND I ARE SLOBS (WE ARE 51 AND 71) , WE BELIEVE IN PLANNING AHEAD. LOVE THE TERRY AND COLORS. MILES KIMBALL ALWAYS HAS GOOD PRODUCTS. Nice to stay clean while eating in front of the TV. Easy to put on & off & launders well. This is a repeat order. To keep my clothes clean especially when eating seafood or pasta! Felt it would save on laundry. Friend saw mine, and wanted 2. My son uses towels and they're always falling off. These would be perfect and cover more area. I'm always spilling food on my clothes! This is for my elderly mother (97). She manages to drop or spill everything she eats. Tired of changing and washing clothing daily. I ordered one for my father in law and he loved it. Now my mother in law wants one! Easy to clean. 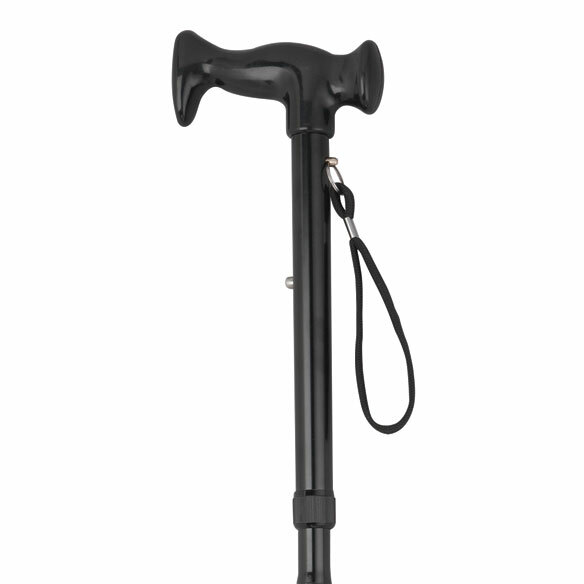 I think this will be a big help for elderly patients. 98 year old mother needs this when eating. 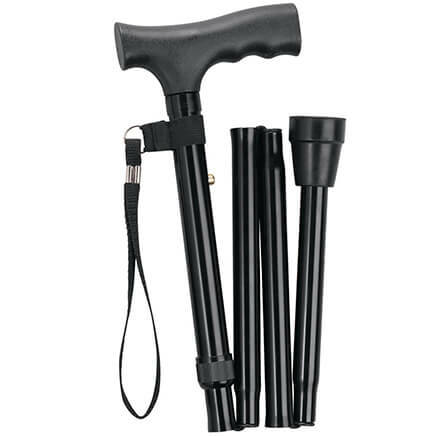 Have a special needs grandson and these are great for him. I have a sister in a home and she sometimes spills on her if this works I will order enough for a week . Laundry is done once a week. A friend of mine always drops food while eating, and I told her I would get her a Bib. 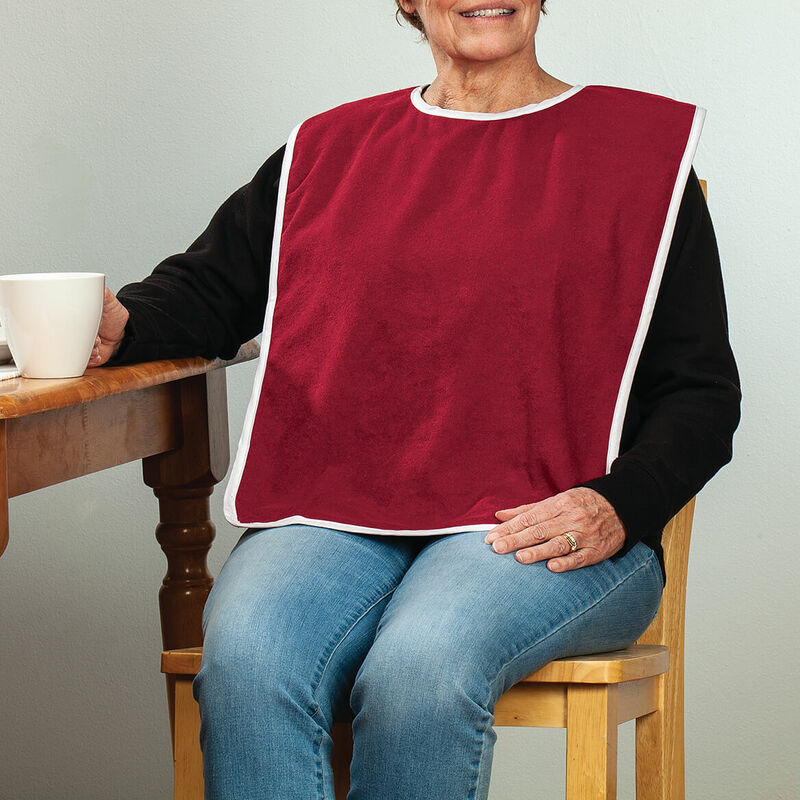 I am forever dropping food on my good clothes, so the bib looks like a handy thing to have. 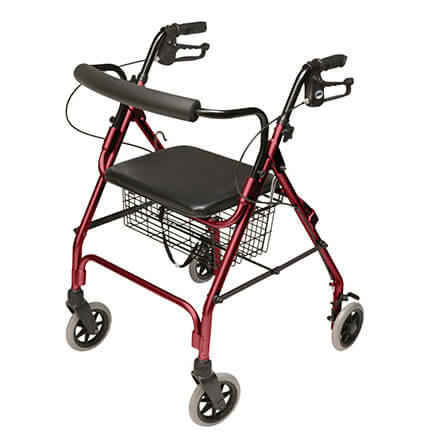 Great choice for seniors whether at home or in a facility. Because I'm constantly dropping food on my T-shirts & nice blouses. Tired of grease & sauce stains that no amt of product seems to get out. I have mild Dementia & sometimes forget to use said products, too. A great item. When Your dressed and have a snack that's when accidents happen, It will keep You clean! Is the other side of the terry cloth vinyl? BEST ANSWER: Thank you for your question. 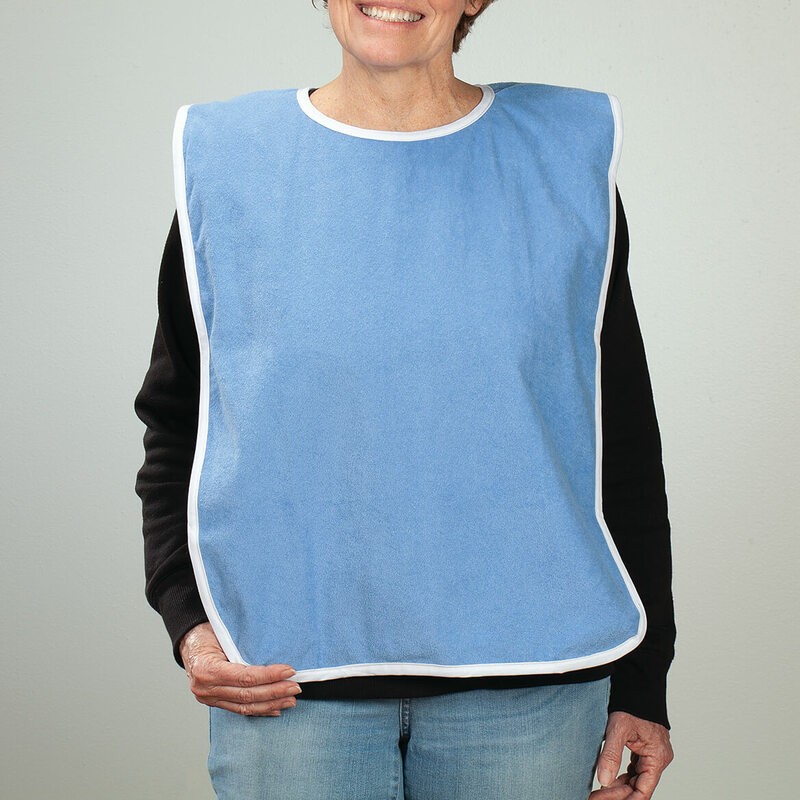 Both side of the bib are terrycloth. We hope this information will be of help to you. That is a good question & one I wished I had asked. The amswer is no, it is terrycloth on both sides. 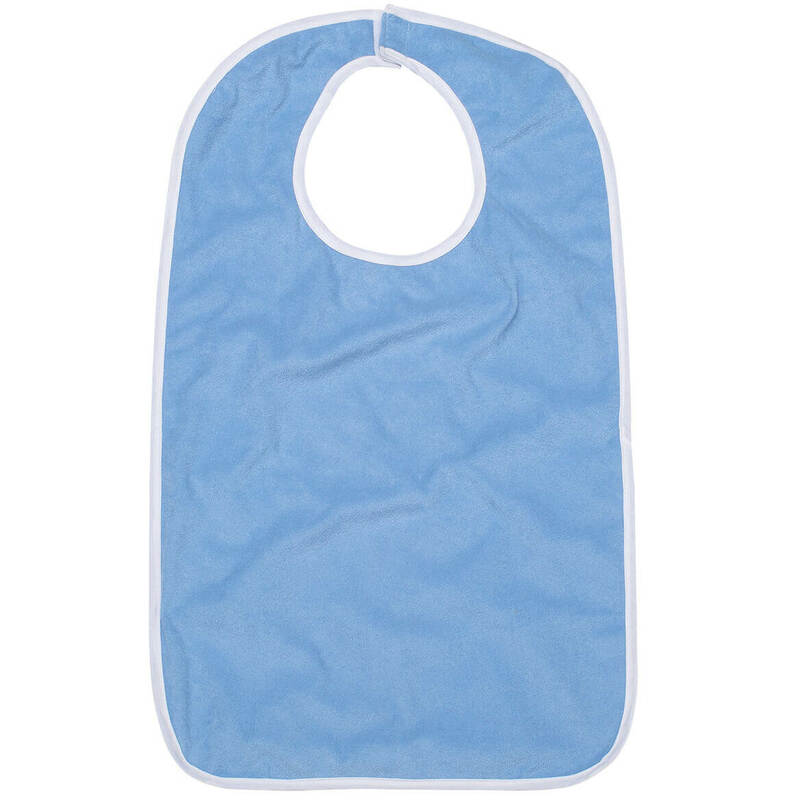 No, there is no vinyl on this bib, it is all terry cloth on both sides. It is terry, just like the front. I have several. 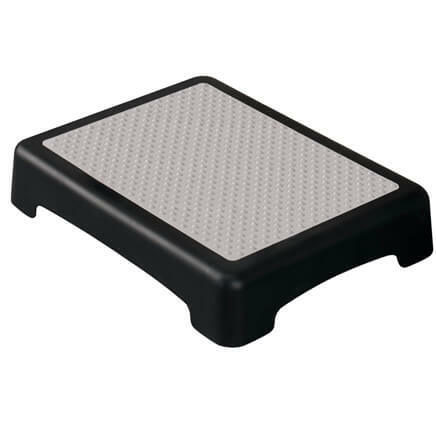 Great item. It is solid terry cloth and very soft. Which size and style is it? Catalog is showing 2 different styles. BEST ANSWER: it is only one size, large, and one style, snap behind the neck. it comes down to the waist in length. I ordered this for my husband. He is a very large man and it covers him well. I hope this helps. mine is the bigger one which is longer and wider. Does this have a vinyl backing? BEST ANSWER: Thank you for your question. The back is not vinyl. We apologize for any inconvenience. no it does not have a vinyl back, but its fairly thick in material.